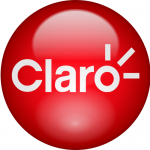 Claro is one of the big telecoms here in Brazil. It’s also part of Brazil’s problem. If you’re having financial problems, which the nation and many big companies are, it would seem that you would want to do what you can to win customers. Claro does not seem to care, and if I am typical of the way they treat other individuals, I’d give them three or four days before they get swallowed up into the abyss. I went to a local mall in hopes of getting a SIM card for my phone that could provide 4G internet service. Of course, no one in the store spoke English and, despite the fact that I had a translator with me, I was a non-person to the employees. Ronny, my co-worker and translator, explained that his American friend needed a SIM card that would only provide internet services. Could Claro help? “Of course,” they replied. I mentioned that I wanted to try the card in my phone to make sure it would work before I was willing to pay. “Not a problem,” I was assured. Of course, I had to produce the money to prove my intent to purchase and this I did. They handed me the card, I put it in my phone (which was, indeed, unlocked) and … nothing. I was sitting in their store and I had zero service. I pulled the card out and said I wanted my money back. Mind you, the money had been in my hand a few minutes earlier and I had never left their presence. I had not used their service. I couldn’t use their service. Their service would not work on my phone. So I politely requested my money back and said I would go elsewhere. I also mentioned that I had chosen their service because they were an Olympic partner. It didn’t matter. “You can’t have your money back,” said Claro. “But you didn’t say you didn’t have a Brazilian phone,” said the clerk. “I told you he was my American friend and it was for his phone,” Ronny told her. At this point, the manager comes over to join the conversation. He tells me there is nothing he can do and that if he gave me my money back it would come out of his pocket. I told him that was not my problem. Note to those studying Customer Service. It’s not the customer’s fault if you cannot provide the service you promised. It’s not the customer’s fault if the company will not repay the store manager who offers a refund. Those are all company problems and Claro has them all. I asked to speak to the manager’s boss. He said he didn’t have one — that he was the store manager. I then pointed out that if he was the person at the top, he was authorized to give me a refund. If not, then he had a boss and I still wanted to speak to that boss. “I have no boss,” he said. “Then give me my money back,” I pressed. “Then you are no boss, “I held. The conversation went down hill from there. Finally a representative from LG who happened to be in the store asked to see my phone and started trying to reprogram it. I told him to stop through my translator but he said not to worry, that he was only adding an additional way to connect to the network. Sorry, but this is customer service mistake #2. You don’t start doing things to a person’s phone without first explaining what you want to do and then getting permission. Mr. LG did none of that. He just started making changes to my phone. I’ll be making a trip to my carrier when I return home to have all of that programming undone. Yes, I’ll be walking into the office of yet another company that just doesn’t get customer service with the vain hope that, somehow, they may be able to undo the work that their South American cousin did without permission on my phone. Mr. LG did get the phone to indicate that it now had some sort of service, but it was not 4G. In addition, the one and only app that I wanted all of this for — the one that I had set up in the US to all my family and business colleagues to be in touch with me — wouldn’t work with the Claro network. Claro, of course, now felt justified in stealing my money because the phone said that something was working. This is Customer Service mistake #3. If your customer is not happy, your work is not done. I had already said I wanted my money back. If I can’t just drop in the SIM card and have it work, then I don’t want the SIM card. I have to use this phone again when I get home and I don’t want someone changing all the settings on my phone so that it will work with a different network. I said no in the language anyone would understand. I shook my head back and forth and said, “Nooooooooo.” Even in Portuguese, this would be understandable. Unfortunately, though, the conversation was over. The manager turned and walked away. Ronny was unwilling to dive over the counter and risk life and limb to make my point, and if I dove over the counter, they wouldn’t understand my point anyway because they refused to try to listen. Incidentally, American’s are often guilty to speaking more loudly when talking to a non-English speaker somehow thinking that the louder tones makes us easier to understand. Brazilians at Claro are just the same. They spoke to me in a loud voice and kept nodding their head thinking that this would lull me into a sense of agreement and serenity. Neither happened. When I got back to my hotel, I found that I had on 2G service on this SIM card. At the venue, I have 4G briefly, but only when outside. My control room is buried in cement. The card is absolutely worthless to me. I knew it in the store. They should have given me the requested refund. They gave me nothing but an empty wallet. I was robbed in front of a store full of people and no one said or did a thing to help. This has soured my feelings about Brazil and has made me determine that if I’m ever made King of the World, my first act will be to make Claro wish it had never gone into business. Businesses who don’t care about their customers have no business being in business. At least that’s what one King of the World thinks. In addition to being the Fearless Leader at Creative Genius Productions, Inc., Rich Roszel also co-hosts the nationally syndicated program License to Parent and has been know to sneak in while no one is looking to be a voice talent on other broadcasts. This post was uploaded to the internet with absolutely no help from Claro. © Creative Genius Productions, Inc. All rights reserved. No portion of this site including its media may be used without permission.